You’ve been working out. You’ve been wearing your sunscreen faithfully. You’ve been eating and drinking right (well, almost). And your skin and body show it, too, but you’ve been thinking about taking that next step. If only…if only it wasn’t so drastic. We’re here to tell you that there are many non-invasive procedures that can still make a substantial difference in your appearance, with minimal or no discomfort and downtime. It may sound too good to be true, but thanks to technology it really is an actuality, and an affordable one at that. You can even use radio waves on your spider veins. Science has come a long way. 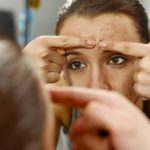 Lasers, for instance, may be the stuff of sci-fi films, but in the hands of a trained dermatologist can vastly improve acne scars, remove age spots, give a rejuvenating facial, or remove surplus hair, all of which can make a great difference to clients. Botox can prevent and relieve forehead furrows and brow creases, but it can also de-masculinize a jawline, and even prevent armpit sweat. Botox is invasive to the same extent that dentist freezing is invasive, which is to say minimally. Still, if you’re needle-shy, there are other options. Fillers such as Juvederm are also a great option, taking only a short appointment time and in most cases minimal recovery time for maximum benefits, which last months. They can truly rejuvenate a face with only a few small pinpricks. There are a variety of non-surgical options to deal with spider and varicose veins. True, most of them do break the surface of the skin, but most options don’t involve a single scalpel. And they give great results. We offer many of them at Dermedica: come in to see which is right for you. Fat reduction also offers non-surgical yet effective options now. Our Coolsculpting procedure literally freezes the fat away. In common with many of these non-invasive procedures, it results in no downtime and instant results. What could be better? Lastly, for those of a non-invasive yet non-squeamish turn, we offer the famous Vampire Facial. 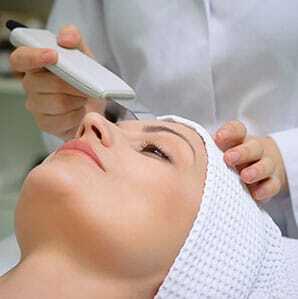 This treatment collects your own blood cells, purifies them, and applies them as a treatment facial which promotes the increase of volume and rejuvenation of the skin through a process of targeted tissue re-generation. 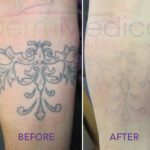 Thanks to science and client demand there are now a wide variety of effective, affordable, and non-invasive treatments, things that could only have been dreamt of a decade or two ago. If you’re wary of the scalpel but ready to move on from your current regime and results, don’t hesitate to call and discuss your non-invasive options for self-improvement at Dermedica.